Often, the onset of fall means people give up on their outdoor landscape flower pots and planters. When in fact the fall is a great time to revive your now tired patio and deck pots. A lot of times people don’t want to spend the money on landscape plants or flowers that they will only enjoy for the last month or two of the season. The truth is that fall color pots don’t have to be expensive. Here are a few guidelines to help extend the enjoyment of your pots. Don’t start from scratch. You might think that planting fall color means you need to empty the pot and start over. This isn’t always the case. Many of the landscape plants or flowers that we planted in the spring still look great, will require less maintenance and are even looking better now that it’s cooler. You might even have some landscape flowers that didn’t tolerate the Cleveland heat very well, but if left in the pot will soon be revived by the cooler temperatures. Diascia, nemesia, snapdragon, and lobelia are a few examples. Most people plant some kind of large/tall plant for height. If you used a tropical plant, it might still look good, but will most likely begin to fade with the cooler temperatures and shorter days. Plants like grasses, sweet potato vine, and ivy can be left and will continue to do well. Choose your plants wisely. 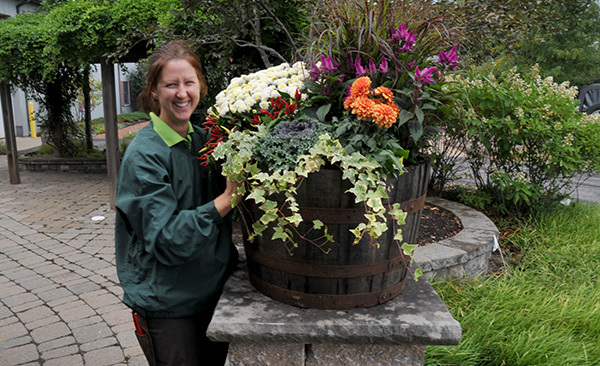 When choosing a fall landscape planter flower, such as a mum, choose one with unopened buds. If you choose a mum that is fully in bloom you will only enjoy it for a couple of weeks. Contrarily, other plants you want to make sure that they are well developed. If you are using pansies or violas in your pots, choose ones that have a well-developed root system. They may look nice and full up top, but when you pull the plant from the pot or flat cell, there may be no roots. Don’t be limited to mums and pansies. Mums and pansies/violas are great options for fall color pots. They come in a large variety of colors, and have great impact. 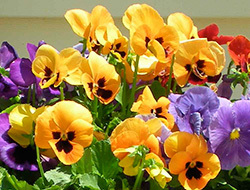 Pansies and violas have the added advantage of lasting through the winter to give you spring color as well. As great as they are, there are other plants that can be used in fall color pots, that when mixed with the old tried and true ones, can create a beautiful display. Cabbage and Kale – These come in such a neat variety of colors and textures that you really can’t go wrong with them. They love the cold weather and often will continue to look good until spring. 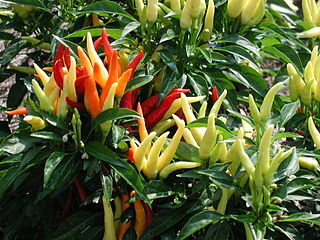 Ornamental Peppers – These great plants prove that you don’t need to have flowers to give a punch of color with great impact. They come in red, yellow, orange, white and purple with fruits that can be long and skinny or short and round, as well as leaves that can be different shades of green as well as purple. 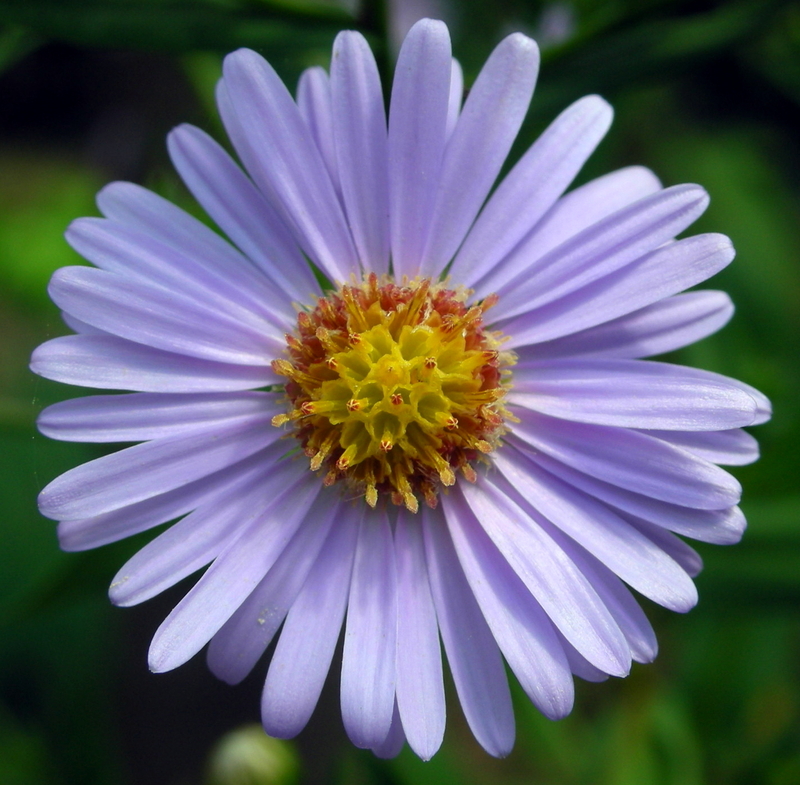 Fall Blooming Aster – Not everyone wants pots filled with oranges, yellows and reds. Fall blooming asters come in purples and pinks and can be planted in perennial beds when flowering ends. ‘Tiger Eye’ Rudbeckia – Although it’s an annual, its bright golden-orange flowers are perfect for the fall and have a long flowering time. 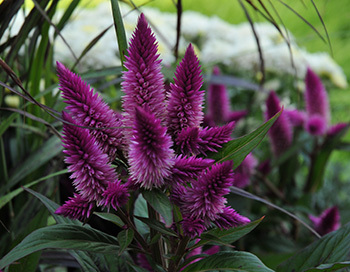 It’s a great consideration for a spring plant that you keep through the fall. 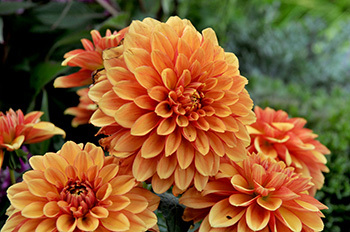 Dahlia – An annual as well, but one that can tolerate the cooler weather and will continue to bloom through fall. Dusty Miller – Considered an annual, but often survives the winter. Adds texture and color interest with its soft silver leaves, especially when paired with a smooth leaved plant such as ornamental pepper. Tender annuals – People might question my recommendation to use tender annuals such as marigolds, celosia, and coleus, but they offer great color and can be found at dirt-cheap prices in the fall. Add a Touch of Whimsy – Adding gourds and small pumpkins can add new dimension to your pots, but if you really want to make your pots scream ‘fall’, you can add inexpensive pieces as well. Check out your local dollar or discount store for fake leaves, mini scarecrows, or dried cattails. 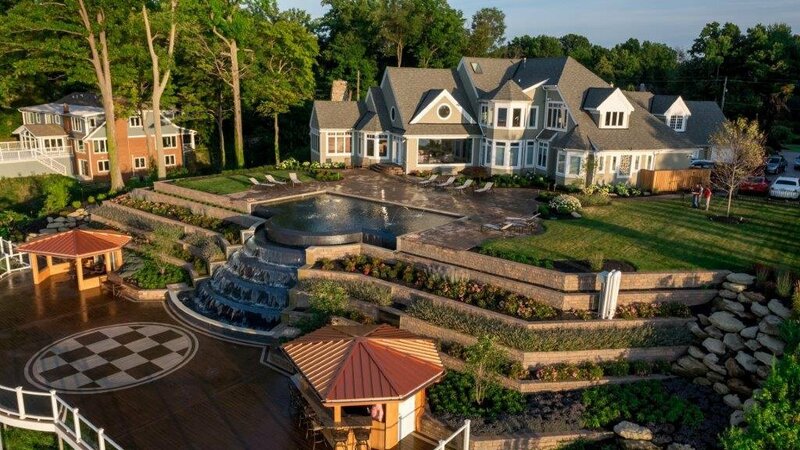 So what are you doing to spruce up your landscape for Fall this year?